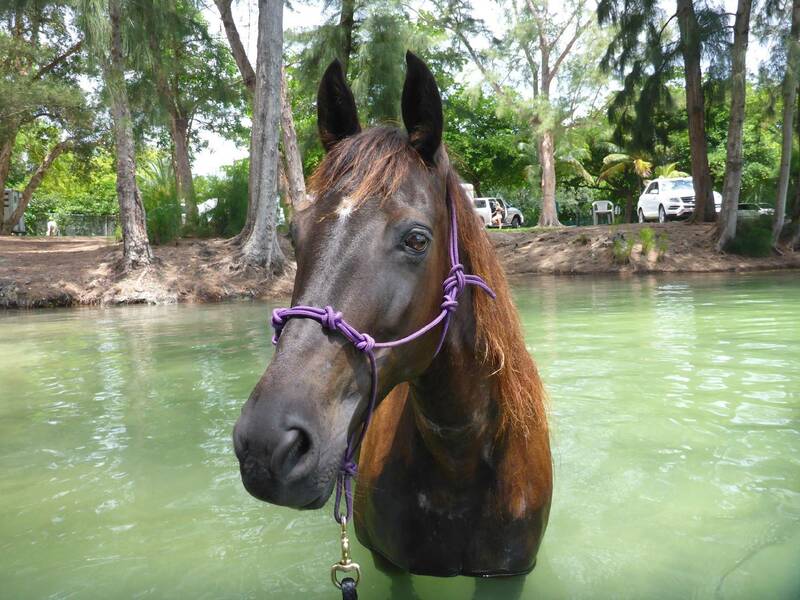 Amanda Rodriguez independently leases her owned horse on site for convenience. We do NOT offer guided tours. 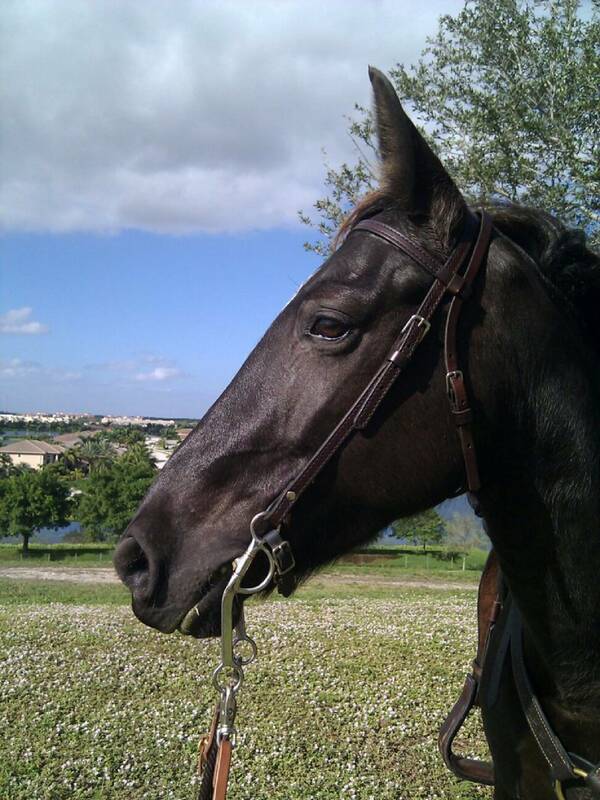 Gypsy: 14.2 hand, black mare. 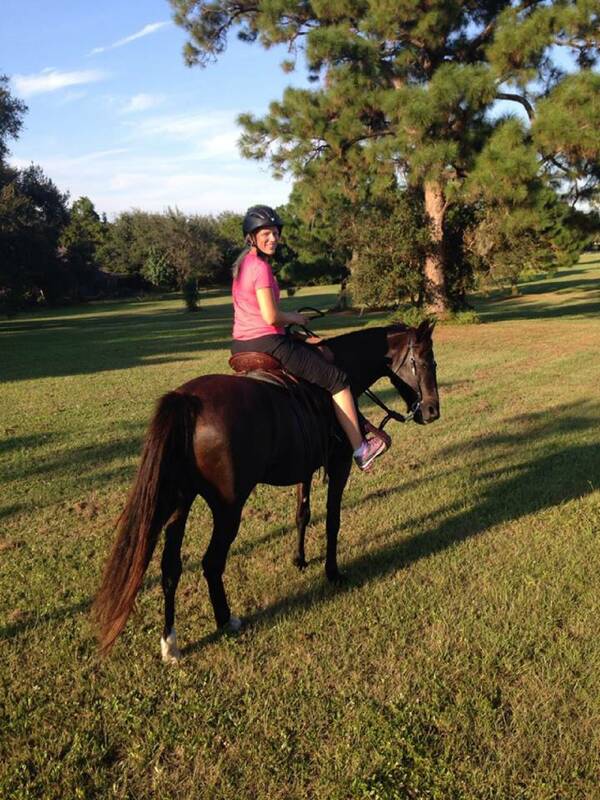 She is looking for an advanced rider who enjoys zipping around on the trails. She has a speedy walk and a very smooth flat walk and running walk. She has a tendency to spook occasionally at various objects out on the trails. Her rider must stay alert. She is really fun to ride if you can handle an occasional spook. She loves to zip around but will walk when you ask her to. She has no history of bucking or rearing. Gypsy is available for trail riding only. You must be able to catch, groom, tack up, and ride alone. Western saddles available. You must be 18 years or older and under 170 lbs. The monthly fee gets you one day of riding per week. You come when you want, for as long as you want, on your chosen day. Riders will be evaluated to verify that you can catch, tack up, and get out the gate correctly. A one-time trial fee will be charged to all prospective riders. Weekend days: $180 per month. Week days: $140 per month.